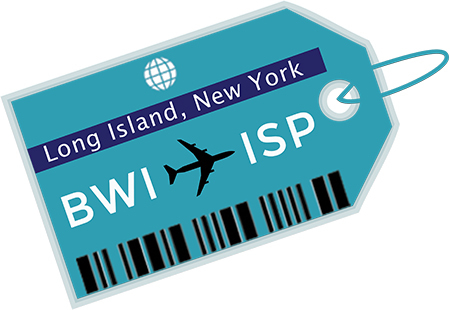 Long Island MacArthur Airport (ISP) customers will now enjoy the additional benefits of Stress Free__Wi-Fi on the Fly! MacArthur Airport provides a much higher level of service than NYC airports ranked among the lowest nationwide in customer satisfaction according to a recent survey released by J.D. Power September 19. Angie Carpenter, Town of Islip Supervisor; and Shelley LaRose-Arken, Long Island MacArthur Airport Commissioner; join here with John Cochrane, Town of Islip Councilman; Steve Kosin, Town of Islip Director of Information Technology; Rob Schneider, Deputy Airport Commissioner; and Steve Siniski, Airport Administrative Supervisor. “We are committed to providing an excellent customer experience at MacArthur Airport.” Carpenter said at today’s press event.